"Knowledgeable, professional, friendly and involved with our community. Never a worry when working with John. John orchestrated a seamless and enjoyable transaction from listing to sell then on to the purchase of my next home. Our city is lucky to have such a professional! If I have a real estate need no doubt about it John Briscoe is my guy." "Jessie was always willing to go above and beyond. She went out of her way to answer questions and make sure we were comfortable with the process. She started out as our realtor but had become a friend!" 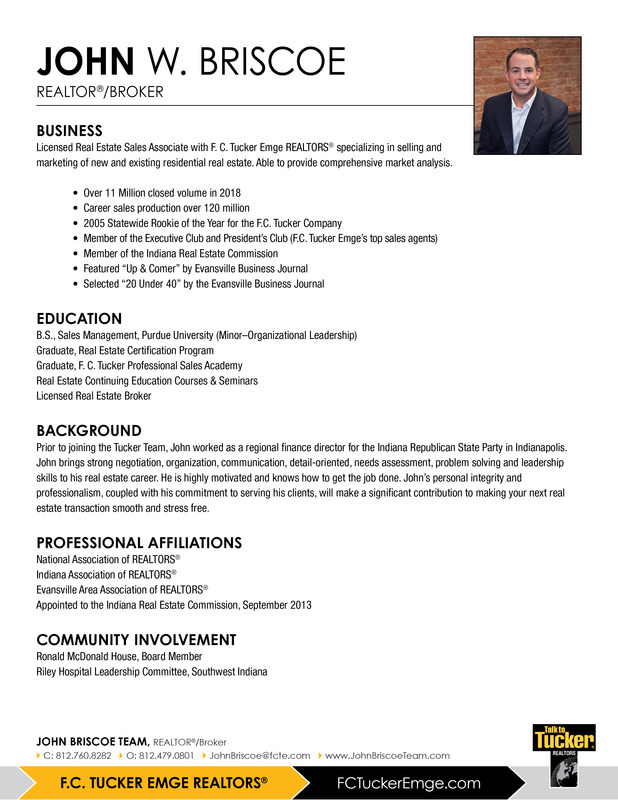 "John Briscoe, from Tucker Realty was Incredible! He made the process of selling my home, so smooth with his expertise, kindness and professionalism! I cannot thank him enough! I always thought selling a home would be such a stressful and never ending task, but it was not with John Briscoe with Tucker Realty! Take my word! You'll see!!" "Jessie made the house buying process easy! She communicated with us every step of the way and went above and beyond in tracking down information for us. We can't say enough good things about the JB team!" "We can't say enough good things about Jessie! She went above and beyond for us in every possible way! We are new to the Evansville area, and she made sure that we felt comfortable with every aspect of the move. During the entire experience, she kept us in the loop and ensured that we were satisfied with everything. I highly recommend Jessie and the entire JB team! Thanks, Jessie! We love you!!" 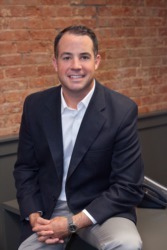 "We love working with John Briscoe on our past house transactions! I am sure his team is fabulous as well. Knowledgable, available, hard working and friendly! Great job Team Briscoe!" "I had an excellent experience with Jessie Gross. The communication was outstanding and my house sold the same day it went on the market! She was in constant contact with me about the issues and proceedings leading up to the closing on the house. Despite being out of town on vacation the week of the closing, she remained in contact and ensured that everything went smoothly. I was very pleased and would highly recommend her to anyone looking to buy or sell a home!" "Jessie was very easy and accomidating to work with. Our house sold very quickly and was proactive with keeping in constant contact on next steps throughout the process." "Recommend John to anyone looking to buy or sell!! So great to work with!" "Jessie Grampp Gross is awesome. We are thankful for her knowledge and professionalism." "Awesome team! Jesse Gross is an excellent Real Estate Agent and she made selling my home so stress free. My house was in the market for only 4 days before it sold and she helped me find my new place as well." "Jessie was great to work with, made the process painless as possible, and kept us in the loop to everything going on." "Our parents home sold within a few days!Jessie was such a professional throughout the process.She kept us informed of every last detail involving the listing,sale and closing of my husbands childhood home.Every question(and there were lots of them!) we had was answered in a timely fashion.Jessie went above and beyond our expectations.Thank you so much for everything Jessie!!!" "I cannot say enough to convey how positive and seamless our experience was with having John Briscoe as our realtor. I would recommend him and his team with fullest confidence to anyone who needs a realtor. " "Jessie was awesome to work with! Eased our minds as first time home buyers and made the process simple!" "Awesome team!! Went above and beyond to meet our needs! Got us in a house before it even hit the market"
"Great experience selling our home and also purchasing a new one with the Briscoe Team!" Very helpful and professional team! I recommend them to anyone I know in the market!" Jessie did an awesome job of helping my wife and I navigate the confusing and complicated process of home buying. 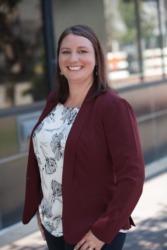 Jessie's relationships with other local businesses (mortgage lenders, title companies, insurance agents, etc) were also very helpful and made the process much easier for us. Jessie was also very flexible and accommodating when it came to working around our schedule, showing houses, etc. Very highly recommended! Thanks Jessie!" Absolutely fantastic group to be working with! We have purchased and sold with Jessie and John several times since 2012. We will continue to use this amazing duo in the future if anything else arrises!"